St Austell Wines stock over 130 vegan wines. Filter ‘vegan’ on our website and you’ll be offered no less than 10 pages of vegan friendly wines. At St Austell Wines we now have a wide range suitable for vegans and/or vegetarians at varied price points. Specification for our suppliers is that where possible, we want our wines to be vegan. Of course, it isn’t just us asking this of producers and such is the trend that some wineries are aiming for 100% vegan status. One of our favourite wineries, Cramele Recas in Romania, is in the process of moving all wines to vegan status. Read Bristol-born owner Philip Cox’s interview with The Buyer and his take on why vegan is the future for all Cramele Recas’ wines. October 2018 - St Austell Wines visit to Cramele Recas in Romania, owner Philip Cox second from left. With over 130 wines of different colours, countries, grapes and price points, there is every opportunity to offer vegan wine as part of your list. Our skilled team of Wine Development Managers can help train your staff, not just in the service of wine but also with knowledge of which allergens your wines may contain, and which are suitable for vegans and vegetarians. The Pandora Inn at Restronguet, Cornwall, has 13 vegan wines as part of its 55 bin wine list, all clearly marked using icons for their customer to easily identify wines to suit their dietary requirements. Generally speaking, plant-based dishes will tend to suit white wines however, when it comes to more robust pulses such as beans and lentils and more flavoursome vegetables like pumpkin and aubergine, medium reds will pair nicely. As with all food and wine pairing, the method of cooking is important to bear in mind – roasted vegetables will have bolder flavours than boiled so a more robust red can be considered. When using Asian-fusion flavours in a dish, look to white wines with a little sweetness to compliment the spice. 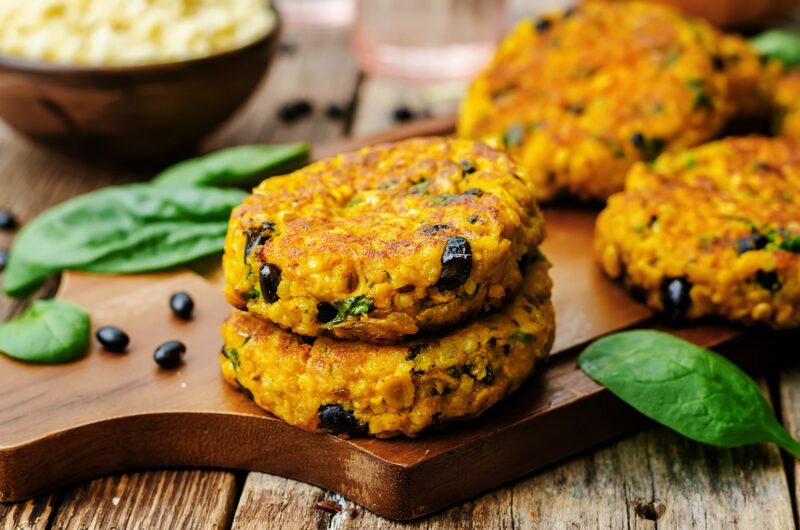 Here is one of our favourite Vegan Society recipes, with a nice autumnal twist on the increasingly popular bean burger. Red – Dominio de Fontana Cabernet Tempranillo from Spain.